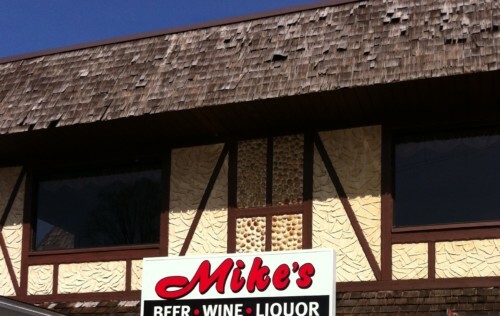 On an unseasonably warm day in March, what could be better than enjoying lunch on the deck at Mike’s Crab House? Mike’s has been an Annapolis area institution since 1958, and is dramatically located overlooking the South River at the Riva Road Bridge. The view was vacation-like on that particular beautiful, sunny day with a slight breeze. As we were seated around noon, the gulls welcomed us with their screams, and before long, the picnic-style tables filled up with people who had the same idea. My husband and I come here often and each of us decided to order our favorites. I chose the Mediterranean Chicken Salad, and he selected the club sandwich. Yes, this is a crab house, and there are plenty of seafood choices, including the famous hard crabs, but that’s not at the top of our lists. I do, however, recommend the Jerk Mahi-mahi sandwich with grilled pineapple. The salad that I ordered normally comes with feta cheese (this is a Greek-owned establishment), so you imagine my surprise when the waitress returned to the table to tell me that they were out of feta cheese! Hard to believe! She gave me the choice of blue cheese or parmesan. We didn’t have to wait long for our meal and there was no disappointment. My salad consisted of large chunks of grilled, seasoned chicken, crisp romaine, tomatoes, olives, green pepper, onions, and cucumber. On the side was an ample amount of balsamic vinegar dressing for dipping. The salad looked and tasted delicious! The blue cheese crumbles were a great addition. My husband couldn’t finish the double-decker club sandwich, for which he requested crispy bacon and turkey only. The well-stuffed sandwich came with fries and a pickle. He was pleased with his lunch, as well. We both had iced tea, and it was served with a pitcher on our table for easy refills. Lunch for two: $24.02, plus tip. We love to take out-of-town guests to Mike’s to show off one of the special places that Annapolis has to offer for spectacular views along with consistently great food!